I'm not a cynic, just a frustrated optimist. A common definition of a liberal is one who accepts change more freely than a conservative. People who accept change are often the same people who take time to think about the options and come up with new, evolved solutions. Liberals are people who evolve with the changing times instead of sticking to traditional and often out-dated viewpoints. But, that is all conjecture. Satoshi Kanazawa, researcher for the London School of Economics and Political Science, has found statistically significant evidence that shows people who are more intelligent are more likely to claim they are liberal and less likely to claim that they go to religious services. Furthermore, a team from the “Add Health” survey group conducted a study of 20,000 adolescents. The mean IQ for someone who was “very liberal” was 106 compared to the 95 mean score for people who claimed they were “very conservative”. Don’t believe me? You might believe this. You might be asking: so..what’s your point? The point is that liberals need to take advantage of this during elections and campaigning. I often feel as if the Republicans are always on the offensive calling liberals wimps and portraying us as flip-floppers. Democrats need to reverse this and make fun of the Republicans for being dumber than us. 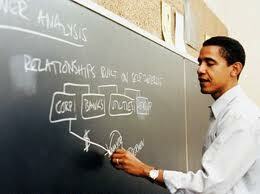 The fact that Obama went to Harvard Law School was somehow a point of attack for Republicans. They called him a political elite. Democrats should have easily turned this around and said if faced with a tough situation, Obama will make a better decision because he is simply smarter than McCain. It’s funny and sad that being smart can be a negative characteristic in today’s political climate.